This book is so, so good. 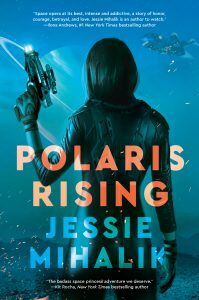 It’s a slow burn, enemies-to-lovers story revolving around two talented, competitive pairs figure skaters, but you don’t really need to know anything about figure skating to enjoy the book. After Jasmine is dumped by her figure skating partner, she thinks her career might be over at the ripe old age of twenty-six, despite the fact that she’s never won the championship she so desperately desires. Her nemesis, Ivan Lukov, on the other hand, has won plenty and never passed up the opportunity to rub it in. But when Ivan’s partner decides to take the season off, he needs an experienced skater in a hurry. Jasmine and Ivan strike a devil’s bargain to work together to win gold—if they don’t kill each other first. 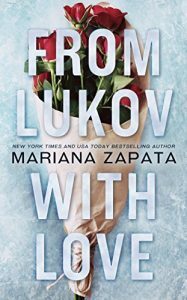 From Lukov with Love is emotional and captivating and I stayed up waaayyy too late trying to finish it in one sitting. It’s seemingly only available on Amazon (or as a very expensive, likely print-on-demand paperback), but if you have Kindle Unlimited, it’s included. I’ve been a fan of Mariana Zapata’s work for years, she specializes in the slow-burn romance. I read From Lukov With Love recently and also really enjoyed it so I’m happy to see that you appreciate it as well. Hmmm sounds just like the movie “The Cutting Edge” which I love (a lot in part because I would watch it with my dad who has since passed). I have KU so will check this out! Thanks for the recommendation! The worst part, is that I kept watching the Cutting Edge sequels. All of them. And I’m not a huge fan of ice skating. Errrm.. This is not to say that I’m going right away to read this book, or in any way shape or form enjoy romance novels. Also, the sky is not blue. Wait, there were Cutting Edge sequels??? Mariana Zapata creates stories that stay with you, the kind that a bit will pop into your head while waiting for the elevator and you think,”Oh !I need to read that again.” Thanks for suggesting her to your readers. It is a kindness and a win for everyone. Also, it reminds me I need to power up my kindle… :D.
Decided to procrastinate work with your rec, and was not disappointed! Loved the book, so adorable. Thanks!